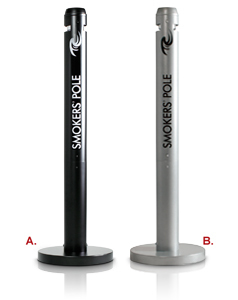 The simple space saving solution to control smokers waste. 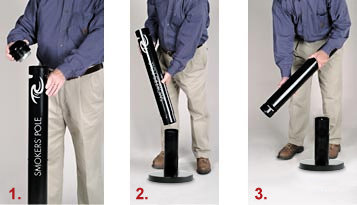 This easy to empty cigarette receptacle requires no tools and minimal bending. The fire safe aluminum body features a durable weather resistant powder-coat finish. Remove top using the quick release push button. Detach unit at midpoint using the quick release push button.